Product #15717 | SKU P-UC25 | 0.0 (no ratings yet) Thanks for your rating! 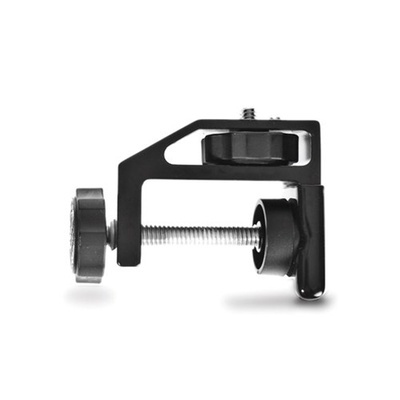 The BaseClamp 2.5 offers a stable base that holds any accessory featuring a 1/4–20 female thread. Solidly attaches to a roll bar tubing, bicycle handlebar, picnic table, or other similar object from 1" to 2.5" thick. Note that the BaseClamp 2.5 by itself does not include our swiveling ball head, the UltraMount or UltraMount 360. Fits any device with a 1/4–20 female thread. Attaches to round or flat objects from 1"–2.5" (2.5 cm–6.4 cm) thick.